Ready for another post? I have been missing in action in lately.. apologies as I have changed my career path and stepped into Real Estate. It has been a roller coaster ride since January, so much to learn everyday and its never ending. 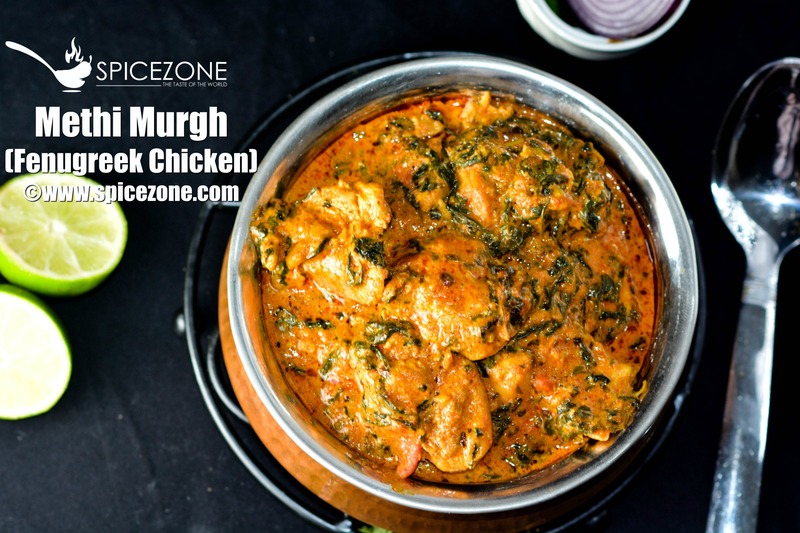 For all my non veg eaters and methi lovers like me, this post is for you where I bring Methi Murgh (Fenugreek Chicken) using fresh fenugreek this season. Fenugreek has a lot of health benefits such as helping in lowering blood sugar if you have type 2 diabetes, increase in milk supply for women, used as poultice, and for fertility amongst men and women. It can used in a spice blend or flavoring agent in maple syrup. For more detailed health benefits click here. 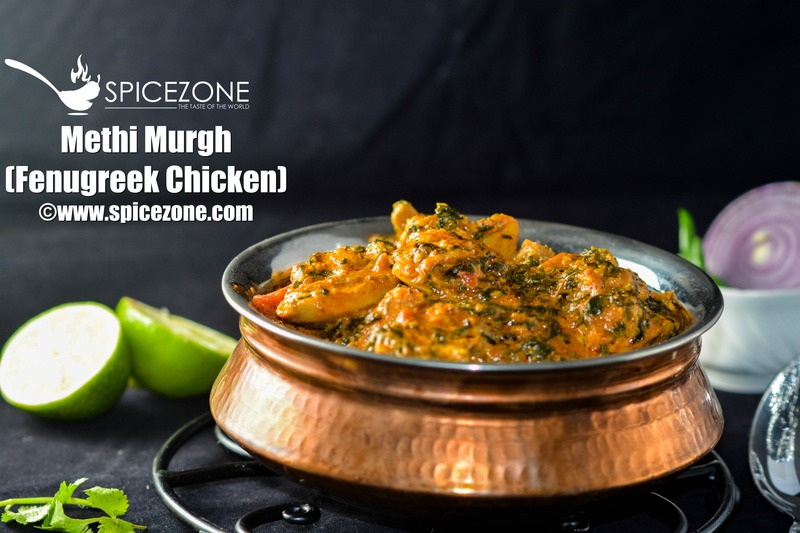 What do I like about Methi Murgh? Methi (fenugreek) is one of my favorite and can be easily grown in your vegetable garden by sowing the seeds. I try to grow them home at least once or twice during summer so I can enjoy it fresh from my garden. First of clean the chicken and cut it into desired size and set aside. Then chop your onions, ginger, garlic and green chilies. You can pull the methi leaves ahead of time as I did so you don't spend so much time when its time to actually cook the dish. In a kadhai, add oil and let it heat a little bit. Add cumin seeds and let it splutter. Then add chopped green chillies and to that add onions. Saute it until slightly brown or you can use ready made fried onions. To the fried onions, add ginger and garlic. Now add the chicken pieces to it and let it roast. After a few minutes add tomato puree along with all the spices which includes salt, red chili powder, garam masala, paprika or deggi mirch, cumin powder. Mix everything well and cover it and let it cook for few minutes. Now turn the gas off and add whisked yogurt to it and combine everything together. Turning the gas off will not curdle the yogurt. You can turn the gas back on and roast it for a couple of more mins. Add the washed and chopped methi leaves to the chicken. Make sure it is cleaned properly as sometimes they are full of sand and you want to make sure its clean. At this time you can check if you any more spices as per your taste and add to it. Cover for an additional few minutes until methi is cooked which should be a few minutes. Open and add heavy cream to it. Mix everything and stir it uncovered for a couple of minutes. 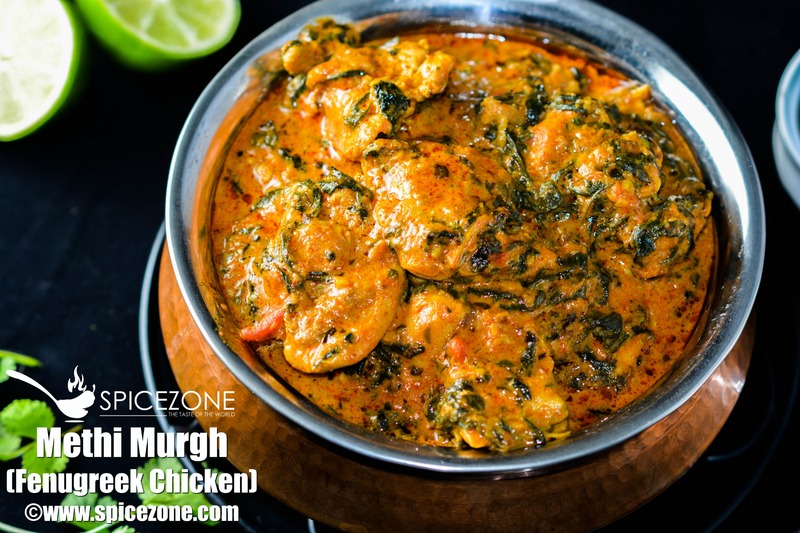 Your Methi Murgh is ready to be served. You can enjoy this dish with rice, tandoori roti, paratha, plain roti or any type of naan.